THE MOON & YOU! Lunar Cycles Energy Event Sessions, Phoenix Style! - a five-part webinar series. Two days after the Equinox, we will ride the astrological wave of the full moon, propelling us towards deeper balance and harmony in our lives. Along the way, we will co-create energy patterns with an ever-evolving upward Phoenix Spiral energy session. From this panoramic view we are able to see more clearly the opportunities we all have to manifest new visions for our evolution. Together we can turn challenges into understandings, to knowing the reasons we are here and “seeing” how to fulfill them. This webinar series is presented in five 75-minute segments (recorded). Why Celebration? Because in this Full Moon group energy session we will work together in extraordinary unity and love to co-create the most brilliant coherence of our hearts and minds! In this state of grand unity, we generate the highest calibrations for ourselves as individuals and collectively as a group. This session is an experience of learning to love one another as we learn to love ourselves more … this is on my “good to do list”, and perhaps on yours too! 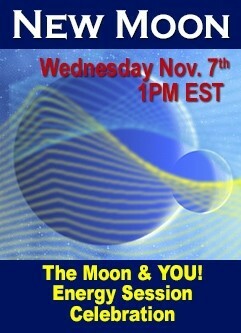 In this free full moon session on Monday September 24, we will be riding the astrological waves of this momentous time. Two days after the Equinox we will be ready for a deeper balance and harmony in our lives as we embrace “New Visions for the Great Evolution”. We will co-create ever-evolving upward energy patterns during this Phoenix Spiral energy session. From this new vantage point, we will have a more expansive view as the Universe provides us with the opportunity for our visions to grow in new directions to bring more balance and harmony to our world. Together we can turn the challenges into opportunities to clearly know and “see” how to fulfill the reasons we are here. Two days after the Equinox, we will ride the astrological wave of the full moon, propelling us towards deeper balance and harmony in our lives. Along the way, we will co-create energy patterns with an ever-evolving upward Phoenix Spiral energy session. From this panoramic view we are able to see more clearly the opportunities we all have to manifest new visions for our evolution. Together we can turn challenges into understandings, to knowing the reasons we are here and “seeing” how to fulfill them. I look forward to our celebration! In the energy of Infinite Love, Always! On the day of this new moon, we will ride the waves of new states of self-acceptance and self-appreciation, loving ways of responding to the invitation to balance and harmony the Universe offers us now. During this Phoenix Inspiration and Insights energy session we will activate and align with contemporary states of profound balance. The energy waves available at the time of this new moon are filled with the resonance of inner and outer harmony. Personally and collectively, we are learning to express more of our evolutionary aspects, and along with the learning comes many smiles. Are you ready to take a quantum leap? Resistance is futile … riding the waves of the “break open” energy generated by this full moon helps us to help ourselves, really! As we stand together side by side in wholehearted coherence, let us dive deeply within to dissolve illusions and to know clearly what is important to us now, personally and … collectively. Our Phoenix Inspiration and Insight energy session welcomes the strong emotions this full moon invites us to express. Together we will transmute these emotions into grounded compassion, and a vision of living life energetically aware here on planet earth. We are ready to generate deeper energies of communication and negotiation … learning what it means to be a Universal diplomat. This is going to be very good! The energy waves of this new moon lift our consciousness into new realms and higher frequencies. The Universe is offering us the gifts of new thoughts and visions. Can you guess what comes next?... it is our responsibility and joy to integrate these gifts as the energy of our Divine Genius within matures. In this Phoenix Inspiration and Insight energy session we will dive down deeply and we will reach up high. For this is definitely a time to expand your ability to manage your most precious resource, your personal energy. First, you are encouraged to manifest the higher frequencies in the details of your daily life, then … wait and see what comes next! The energy of this full moon offers the blessings of Universal knowledge. The last time I checked in the Akashic library, there was still a plaque on the wall saying “We are all students and we are all teachers”. Our new bandwidths of knowledge and emotions are enhanced to support our ability to communicate as visionaries. In this Phoenix Inspiration and Insight energy session we are initiated into the realms of higher learning, higher living, and higher loving! We have chosen to live our highest truth and the Universe lovingly and willingly offers abundant support. Accepting and integrating this support strengthens the radiance of our presence and our ability to inspire others who choose to live their highest truth. You gotta love the way this all works, pretty amazing! The astrological wave of this new moon sets into motion the vision and direction of the energy that has been building since September. As you define your course of action, the next levels of greater freedom can be achieved. The Phoenix Spiral energy session lends further support to help you integrate the best version of who you believe you are. The clarity of this session supports who you are now and who you choose to become. The energy wave of this new moon offers great opportunities to make clear choices personally and collectively, let us greet these opportunities together!